Families must determine whether they wish to have a traditional burial or whether to have the body cremated that can be an incredibly difficult decision when facing grief. A cremation funeral service will emphasize the ashes of the deceased placed in an urn and will be addressed during the ceremony. There is the choice of having direct cremations or separating the formal procedure from such burials. Cremations will involve a number of formal features that are associated with a more traditional burial process. It does not include the placement of a casket but an urn for the ashes. 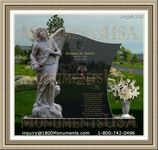 A number of services can be tailored to meet family preferences and in honoring the memory of the deceased. The ceremony will continue as per normal, but the cremated remains will be honored and serve as a centerpiece. An urn will be used to hold the ashes that will serve as a focal point for the service. Individuals are advised on the processes involved and the options that are available based on preferences. When cremations are performed, the body of the deceased will be burned at an incredibly high temperature transforming it into a sandy and ash like substance. Ashes can be stored within an urn and will be a focal point rather than the casket. There is the option to have the procedure implemented before the formal ceremony. When it comes to a traditional burial, it is important to consider the fact that it is more expensive than cremating the body. The ashes are placed into an urn with cremations whereas the regular burial requires transportation. These costs should be assessed before moving forward with a designated service. 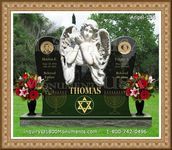 More families are considering cremations because it is an affordable and valuable means of memorial. 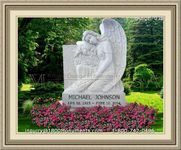 It will not require arrangements with a cemetery to purchase a plot that is often inconvenient and incredibly expensive. With a careful assessment of the features that are involved in such measures, it is necessary to consider which options are best.